It’s high summer and it is hot. We are perched on the ridge of Collard Hill taking in the pastoral scene that is laid before us. A Kestrel is hovering and a Blackcap still sings his beautiful song deep from within the undergrowth. The perfect introduction to birdwatching in Somerset. Visit all the best habitats and reserves Somerset offers at the peak time for bird action. All the spring migrants have now arrived. 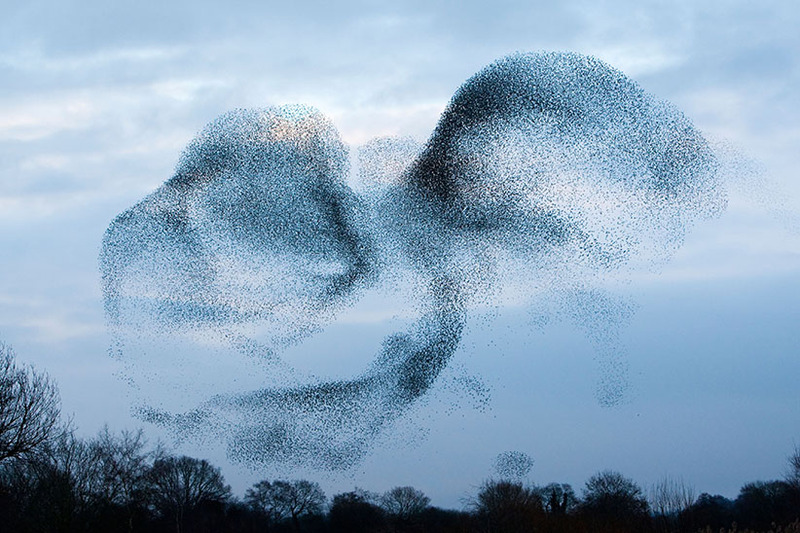 To see half a million of anything is a breath-taking sight – but to see half a million Starlings fly in their liquid murmuration is truly a sight to behold. Our scheduled Birdwatching packages can be adapted and changed to suit the requirements of a larger party of birdwatchers travelling together from a club or society. Walls Farm is located in the quiet hamlet of West Stoughton close to the village of Wedmore. It sits just a few miles south of the Mendip Hills, north of the Somerset Levels, east of the Bristol Channel and west of the historic city of Wells. With a maximum group size of eight participants our birdwatching holidays book up very quickly. In order to hold space for your preferred holiday date please complete the email enquiry form and we will do the rest to help confirm your booking.